NAME. Kaida Break Shimada, Kaida means 'little dragon' in Japanese. Kai, Crybaby, Dia. — other family: Many though some notable distant half-siblings are Twilightzone, Desperado and more. PERSONALITY. Kaida is unlike most children who want to explore the reach of everything with friends, clan mates and more; often finding herself concluded to herself only and enjoying her father's company. A simple word which could define the young one: introverted at a hard pace, often finding herself struggling in large public areas where all attention was fixated upon herself. Words often choke and she finds herself lost of words often feeling as she is being judged on everything; her breathing paces, her appearance, her personality and social anxiety. Despite struggling with her emotions and public situations, she is often very serene and will comfort those in need. Though her appearance may seem tranquil away from social situations, once things become to shift to the public side and everything starts jumbling around then she will often glance around nervously and become extremely shy and becomes clueless to what to do next. While recovering from her torment in the Exiles, Kaida is attempting to piece her fallen parts back once more. She is attempting to cut down her shyness and become more courageous in social situations and hold her ground, to break out her shell. However, due to Kaida being unusual in definition to other children: she has a huge heart to family and those close to her. This is often a good-- but also bad thing. Due to her highly sensitive emotions, it can allow others to easily pull her heart strings for them to gain sympathy from her. This could being harmed, cheated on, attacked by a close friend, significant other or family member which relies on her overly forgiving nature. Her forgiving nature could make it easy for enemies to manipulate her due to being sympathetic towards others. Her torture in the Exiles' left her vulnerable to her emotions, often confusing friend with foe. She's found it hard to trust any other person aside her father and Crownpaw. Kaida often has to remind herself they are friendly but is still submissive, for protective matters, to refuse facing torment once more. The dainty girl doesn't want anyone to suffer the pain which she has and is often willing to help others, whether it be to listen to their problems or heal them. — Positive traits: compassion, integrity, humility and forgiveness. — Neutral traits: unaggressive, whimsical, pure and moralistic. — Negative traits: anxious, delicate, melancholic and vulnerable. AESTHETIC. [ref 1], [ref. 2], [ref. 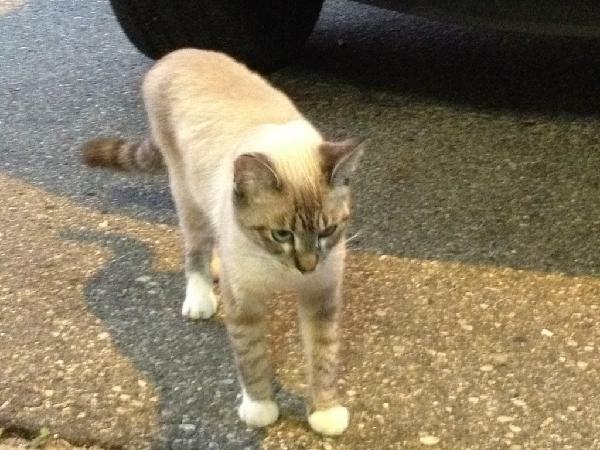 3] At first sight from afar, Kaida looks much like a strange breed of Siamese. A brown which has hints of grey covers her tail fully, on the caudal area of her body (it's gradient from lighter to darker to the base of her tail) and up her spine (faded) and down her lower back, in a circular area highlighting the temporal and peri-oral area. The similar brown-grey coloration follows on her legs except it is in a much softer hue as it gradients up to her legs to blend into the soft seashell white. Sketching across her limbs and within the circular gradient area on her face is mackerel tabby markings which are peanut brown on lighter gradient areas and umber brown or a darker hue depending on the gradient. The back of her ears are a umber brown which the color commonly found on the stripes on her tail. Each of her paws don't follow the previous colors and are instead a bright ghost white which the difference of the coloring stops exactly where the bone connecting her paw to her legs end. Her wings, will be much similar to a goose's; starting as the same color which her coat is on her shoulder-blades as they begin to darken into a beautiful, silky chocolate-umber brown at the tips of her wings. On more finer details (inside her ears, eyes, paw pads), the inside of her ears have slight tufts which stick out of them. The fur on the inside of her ears follow the same coloration which isn't affected by the brown-grey gradient color, otherwise a gentle soft seashell white. The shape of her ears are often erect, triangular though not overly pointed or too large and are medium-small on proportion to match her daintiness. Her eyes are almond shaped which the iris are an oceanic-teal color. Within the pure mixture of those two colors, flecks of emerald green can be seen when inspected closely. Kaida has thick eyelashes, almost thick as a camel's in a way but give her a pure and feminine aspect. Her paw-pads are squishy, much like a perfect molded jelly beans which are a soft baby pink. They rarely get cracked and are given great care. 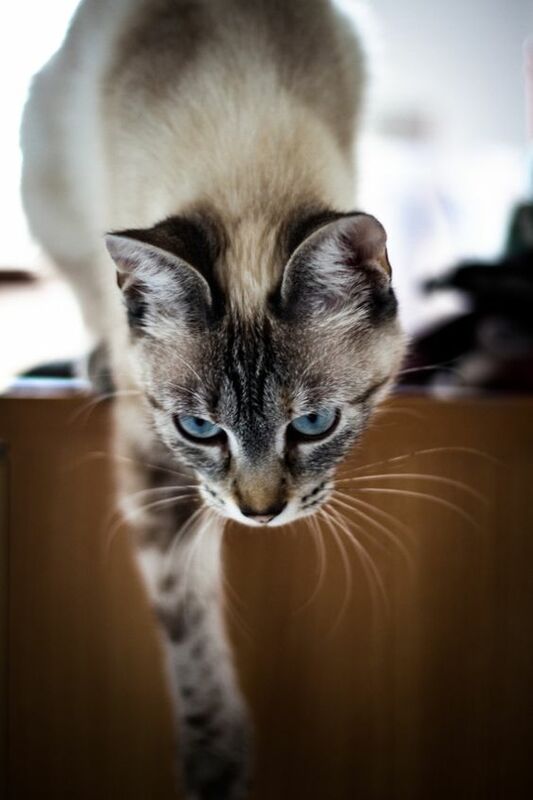 Kaida's body-type takes on the semi-foreign side meaning, it describes a cat that is a little less slender or more thick set than cats with a foreign body conformation. It is a variation of the foreign type. While her body lacks obvious muscle and weight, her fur is between thick and thin texture which makes her look a tiny bit bigger than she actually is. Her body type is meant for healing also, it seems as the slightest rough touch to her could easily break her bones into a million of pieces. Though knowing her physical disadvantage, Kaida will attempt to train hard to strengthen herself in case she will need to act on self-defense. Unlike most Siameses which have thin, short coats or thick, long coats; Kaida's coat is a mixture of both in a way. Her cheeks have extra fluff to them, giving her a pinch-able face and a feathery tail while the rest of her coat is more sleek and between both textures. Her coat smells of cherry blossoms and has a silky touch to it which makes it easier to groom. — Injuries: Half-healed broken ribs. 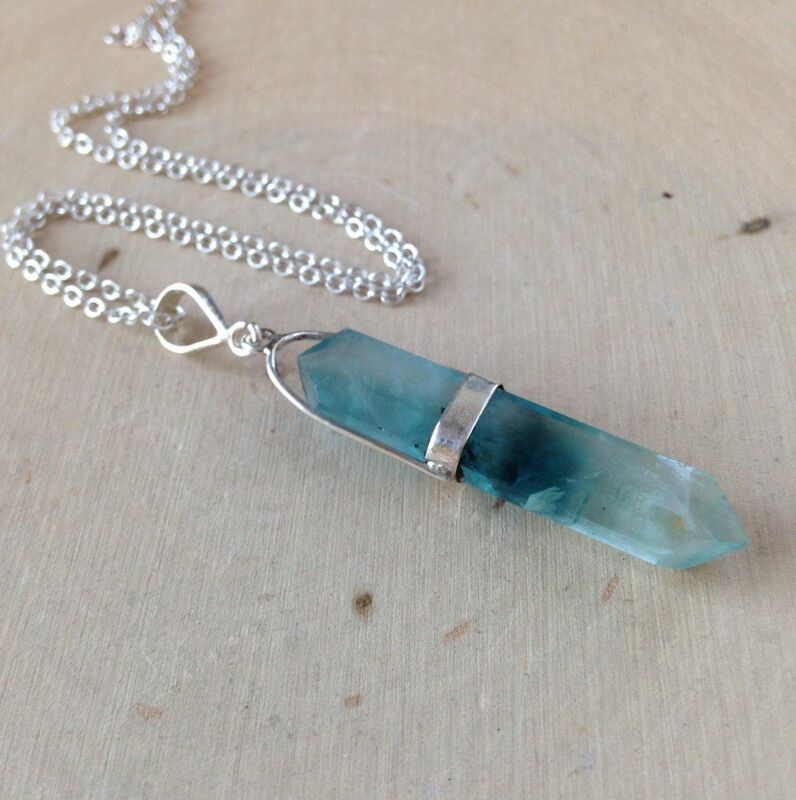 —Accessories: A aqua blue fluorite stone necklace. The post was edited 42 times, last by KAIDA ( Mar 24th 2019 ). Due to her harsh anxiety, it is a medium difficulty to become friends with Kaida due to her horrible social interactions. Kaida will often to choke on her words and easily become flustered in shame at her lack of communication skill and attempt to scuttle back to her father, Southwind, for comfort. Though being born with a big heart which was stuffed into a little girl, whenever they do become acquainted / friends; she will be extremely friendly though still a bit skittish due to only interacting with Southwind for most of her life. However, if the other is family then she will instantly be connected to them as a magnet to the other polar. Kaida is highly family oriented and will always put her loyalty to her family first, though this could extend to those with close friendships to her. Her love for her family is intense and will protect them despite how weak she is (a reason why Lirim abandoned her and left her to South's care). If the other did something wrong, such as murdering someone or hurting her: she would probably be conflicted and nevertheless, forgive them as they are blood. For her, romantic interests are medium difficulty depending on the other person. If they are around her age and friendly towards her, where they are similar in personality (share a same history) or are simply kind to her after a while; she can obtain a crush on them. She can be caught looking away, her cheeks darkened to a light pinkish and/or staring at her paws during conversations with her child crush. Currently, she is in a relationship with Crownpaw (Sanguine Ruins' nurse and secret Exiles' moonshiner). Kaida will often attempt to spend a lot of time with them whether they are dating or not, to just be at their side. Due to the lack of muscle on her body and currently being a child, she is physically easy to take on in battle. Kaida will most likely attempt to call out for her father's assistance which could cause a harsh turn in those attempting to cause harm to her and/or kidnap her. Her emotions are highly sensitive and uncontrollable, her thoughts often a jumbled mess due to her social anxiety which makes her mentally easy to manipulate emotions upon her such as; fear, sadness, happiness, etc. —Ice Elemental [60%]: Unmastered, Kaida has no idea that she has the ability to manipulate ice and/or create it. It was developed when she was born before Lirim abandoned her on Southwind's residence; she will tend to use this defensively if needed when she is older or to help others in whatever way she can. The post was edited 14 times, last by KAIDA ( Mar 24th 2019 ).